Bard: "The Civil War in the New River Valley , 1861-1865: 3 One-Day Driving Tours"
Day One Tour (155 miles) - covers the 1861-62 battles for control of the confluence of the New and Kanawha rivers. Sites include the Hawk's Nest, Gauley Bridge, Cotton Hill, Kessler's (Cross) Lane, Carnifex Ferry, Sewell Mountain, and Fayetteville. Day Two Tour (221 miles) - covers military sites in the lower New River Valley and Greenbrier Valley, such as Meadow Bluff, Tuckwiller Hill, Lewisburg, White Sulpher Springs, Powell's Raid, Peters Mountain Raid, Webster's Huntersville Raid, Averell's Second Raid (incl. Battle of Droop Mountain), and Averell's Third (Salem) Raid. Day Three Tour (205 miles) - covers 1862-1865 raids into southwest Virginia, including the battles of Pigeon Roost, Giles Court House, Cloyd's Mountain, Cove Mountain, Wytheville (Toland's Raid), and the battles for Saltville. As you can see, the book covers a lot of ground. The campaign and battle narratives are quite good by tour guide standards, certainly in line with the best regarded published secondary works. The tour directions appear to be more than detailed enough for drivers unfamiliar to the area. However, it is a bit disappointing to readers interested in further reading that there are no footnotes, and the source notes at the end of the book are only a select few. The 43 maps included in the book deserve special mention. Represented in full color and often at regimental scale, they alone are worth the price of the book. Operational maps showing both period and modern road networks are of great assistance. Color photographs of many of the tour sites further enhance the visual riches. Pages are printed on thick, glossy paper, and the book is an all around fine quality publication of sturdy construction. This book is a valuable work on several levels: as a tour guide, an introductory military history, and a map study. Additionally, although his commentary is brief, author David Bard is perceptive in his analysis of the evolution of effective military strategy within such a difficult theater of operations (from one of traditional combined arms approaches dependent upon lengthy supply lines in 1861-62 to one of fast moving raids supported by numerous feints from 1864 onward). Without leaving my chair, I learned from and very much enjoyed reading this multifaceted guide to exploring the Civil War campaigns and battlefields of the New River Valley. 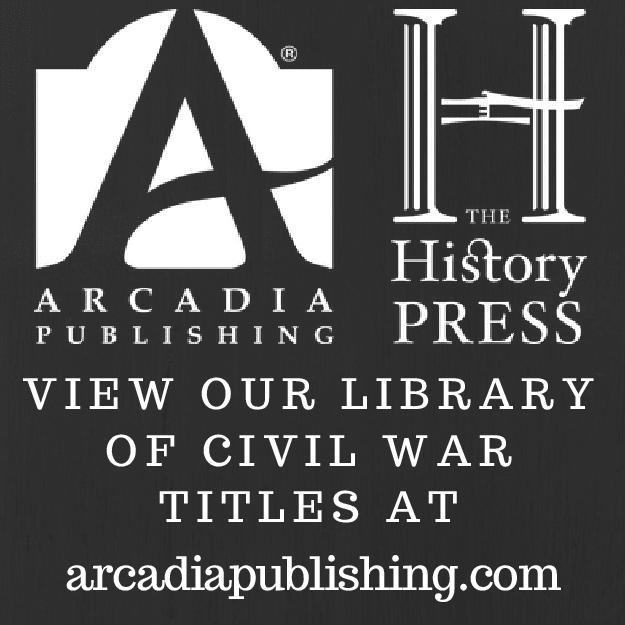 David Woodbury's most recent post deals with the online digitization of the wonderful Official Military Atlas of the Civil War (I use the book a great deal). There was also a nice entry a while back with links to reviews of various atlases published within the past few years. No doubt many of you have seen the new Barnes & Noble edition (available both online and in their brick and mortar establishments). It is difficult to complain about it because I was so pleasantly surprised that they reprinted it...and at a price that is practically giving it away...but I do believe it is a step down in quality from previous editions (at least the one I am familiar with). My own copy is the out-of-print 1983 Gramercy Books edition, the red one (at right). With its darker, crisper lines and more vibrant colors, I much prefer this edition to the B&N volume. The B&N map plate reproductions appear significantly lighter and pixelated to my eyes. Overall, though, I would never want to discourage anyone from buying it. If you are on a budget, you can't beat B&N's price and it does have one very welcome change--the plates are no longer ID'd with Roman numerals. When flipping back and forth from the Gramercy index, the translation in your head can get tedious with the higher plate numbers! Whichever edition you get, there is one great use common to all. It's sturdiness and great size & weight make it the perfect tool to reflatten Civil War magazines or paperback books bent or folded by the USPS in transit. Immediately upon receipt, all of my Blue & Gray's spend a week under its lovingly gentle crushing force and emerge like they're hot off the press. 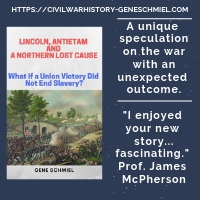 Book update: "Skim Milk Yankees Fighting"
I've posted before about an upcoming history of the August 5, 1861 Battle of Athens. The most recent edition of Clark Kenyon's Camp Pope Bookshop newsletter mentions that he is still hard at work preparing it for publication. It now has a title, Skim Milk Yankees Fighting: The Battle of Athens, Missouri (did they even have skim milk back then? ), and the planned release is for August '07. Another upcoming book of Civil War Iowa interest is Jeffry Burden's editing of regimental adjutant Samuel Pryce's mammoth unpublished history of the 22nd Iowa Infantry (no pub date set). Preliminary information about two 14th Iowa publications is also provided: a reprint of Soldier Life (1907) by Benjamin F. Thomas and a new regimental history written by a unit member descendent (publisher as yet undetermined). Burton: "The Peninsula & Seven Days"
Civil War tour guides are basically one of three types: walking, driving, or a combination of both. None of these is inherently better than any of the others. Depending on the time available to the visitor and/or the interest level involved, they all have utility. A book from the same series, Wilson's Creek, Pea Ridge, and Prairie Grove: A Battlefield Guide, with a Section on Wire Road, reviewed here late last year, is a model of excellence for the combo type. The latest volume, Brian K. Burton's The Peninsula & Seven Days, could be described primarily as a driving tour guide. Conceivably, all the site visits can be squeezed into one long day. Each tour [early Peninsula Campaign (6 stops) and the Seven Days (9 stops)] takes approximately six hours to complete and only rarely requires the visitor to venture more than 50 yards beyond the car. As far as I am aware, this is the first and only book length guide that covers the entire campaign. One of the great things about the This Hallowed Ground series is the common structure. Like all the others, the tour stops (in this case seventeen) in The Peninsula & Seven Days are organized into discrete sections, titled Directions, Orientation, What Happened, Analysis, and an optional Vignette. This particular volume also has perhaps a dozen or more optional secondary tours. One traces Stonewall Jackson's route to the battlefield at the beginning of the Seven Days and other side tours visit important locations such as Fort Monroe, Drewry's Bluff, and Harrison's Landing. 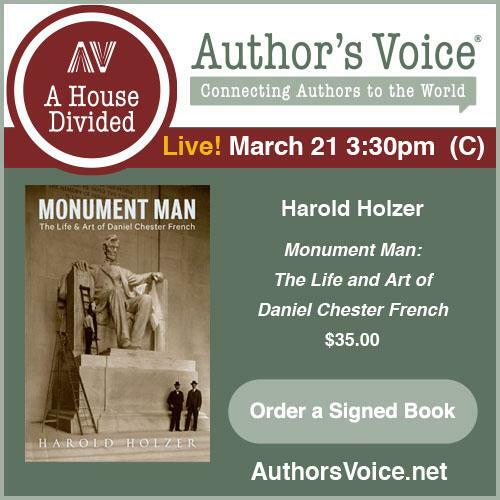 I was happy to read about several new or improved sites that were in the process of being opened up to visits and interpretation when the book went to press. The tour stops are well chosen. The early campaign section highlights the remaining stretches of preserved fortifications on the lower Virginia peninsula. Readers of author Brian Burton's previous book Extraordinary Circumstances, a detailed military history of the Seven Days battles, will be familiar with his analysis of those events. Unfortunately for posterity, some important areas have been lost to sprawl, including the Fair Oaks/Seven Pines battlefield, and thus are not included in the tour. Brian Burton has provided those interested in the Peninsula campaign with a comprehensive guidebook that suits a wide range of tastes. Daytripper and dedicated battlefield trompers alike will find much useful information therein. This series as a whole is rapidly becoming the best published traveling companion for visits to our nation's Civil War battlefields, and I eagerly await the next installment. Cunningham and eds. Joiner & Smith: "Shiloh and the Western Campaign of 1862"
With their sparkling introductory essay, editors Gary Joiner and Timothy Smith give readers ample reason to want to read O. Edward Cunningham's 1966 dissertation Shiloh and the Western Campaign of 1862. Among the four* modern Shiloh campaign and battle histories written since David Reed's The Battle of Shiloh and the Organizations Engaged (1902), Joiner and Smith (and a host of other park historians) declare Cunningham's work to be the best overall study. The essay traces the various historiographical schools of thought that emerged over time, beginning with Reed's framework that accorded centrality to the "Hornet's Nest" fighting on up through today's revisionist accounts. The editors place Cunningham's much earlier manuscript (curiously uncited by both Sword and McDonough in the 1970s) comfortably within the latter group. In his study, Cunningham did not pay an inordinate amount of attention on either the Hornet's Nest or the death of Johnston. If with us today, he would probably be rather sympathetic to the revisionist Hornet's Nest views of park historian Stacey Allen. Although mildly interventionist in their editing style (with minor text corrections and deletions), Joiner and Smith are very respectful of the author's research skills and writing style. I was especially pleased with their carefully measured additions to the notes. Cleanly separated from Cunningham's citations by a parallel line symbol, modern texts and sources were inserted for the reader's benefit along with explanatory notes. The notes delineating the various competing or supporting positions of the major authors upon various points of contention were most interesting. Perhaps surprisingly, Cunningham's prose is written in a lively, popular style not commonly found in dissertations. The battle narrative itself is bracketed by nice summaries of both the strategic movements in the Western theater prior to the battle and the massive Siege of Corinth undertaken by General Halleck's army group in the weeks following Shiloh. While Cunningham's regimental and brigade level tactical history is very good in its own right, I agree with the editors that Sword's is the best tactical treatment of the four (I would probably even go further and prefer Daniel in some ways). One aspect of the book I do take issue with is the tactical scale of the original maps created by Gary Joiner. Almost exclusively drawn at brigade level and above, these otherwise fine maps sadly do not assist the reader much in visualizing the many regimental level maneuvers described in the text. Beyond his intriguing emphasis on the western flank of the battlefield (the "crossroads" front), Cunningham made several other interesting contributions. His research into casualty levels led him to believe they were likely significantly higher for both sides. This was particularly eyebrow raising and not something subsequent scholars have picked up on consistently [note: the editors do mention a Shiloh casualty study currently in the works]. I also appreciated the author's assessment (often regiment by regiment) of the sharply differing levels of training and combat experience in the contending armies. Another fresh element was Cunningham's description of the pre-battle skirmishing. If memory serves me correctly, his account is much more detailed than that found in any of the other Shiloh studies. However, not all of the author's contentions hold up to scrutiny. His assertion that the result of the second day's fighting was a draw is a particularly controversial one. In the final assessment, anyone with a serious interest in the early Western theater campaigns and the Battle of Shiloh will find this book to be essential reading. Casual readers will likely enjoy it as well (not something you can often say about a dissertation). Gary Joiner, Timothy Smith and publisher Savas Beatie are to be commended for finding a way to finally publish this highly respected manuscript. I've read all four major Shiloh works (some several times) and there is little reason to contend that they are necessarily competing against each other. With different emphases, all have something to offer to the Shiloh scholar and enthusiast. While I still prefer much of Sword and Daniel in the end, I remain absolutely amazed at how well Dr. Cunningham's forty year old study measures up to the best of present Civil War scholarship standards. * - E.O. Cunningham Shiloh and the Western Campaign of 1862 (1966), Wiley Sword Shiloh: Bloody April (1974, Revised 2001), James McDonough Shiloh--In Hell Before Night (1977), Larry Daniel Shiloh: The Battle That Changed the Civil War (1997). Turner: "Navy Gray: A Story of the Confederate Navy on the Chattahoochee and Apalachicola Rivers"
Maxine Turner's Navy Gray: A Story of the Confederate Navy on the Chattahoochee and Apalachicola Rivers (University of Alabama Press, 1988) is a fascinating economic-military study of the Civil War in the west Florida coastal region and inland areas of Georgia and Alabama located along the rivers mentioned in the subtitle (the Flint River should also be included). Told from the viewpoint of both the U.S. Navy blockaders and the Confederate soldiers and civilians, it is readily apparent how even a weak blockade can have devastating effects on a local economy based on exports. The economic ill-effects and social disruption were felt far inland, taxing even further an already overburdened southern railway transportation system. Much of Navy Gray's focus is on the expanded industrial complex situated at Columbus, GA (managed skillfully by CSA naval Lt. Augustus McLaughlin and assisted by Chief Engineer James H. Warner). The engineering and construction of the wooden gunboat Chattahoochie and ironclad Jackson at Columbus showcase many of the negatives (material and labor shortages, deep draft, lack of design uniformity, poor strategy, etc.) of Confederate naval construction during the war. The book is very well written and researched, providing real insight into Confederate industry in a region rarely explored in the literature. For more specialized readers and researchers, Turner also included correspondence, finance, and employment records in the appendices. This intriguing multi-faceted study is an underappreciated gem. While examining the source materials used by the authors of modern studies of the Civil War along the Texas coast, one of the common works cited is James A. Irby's Backdoor at Bagdad: The Civil War on the Rio Grande (Texas Western Press, 1977. Wraps, 2 maps, notes, Pp. 61). This short pamphlet can reasonably be read in an hour and is a pretty good summary of the role the Rio Grande played in the Civil War. Irby introduces readers to the complexity of the blockade at the river's mouth and the tangled web of political/economic interplay at the border between Confederate, U.S., Imperial French, and Mexican interests. Irby comes down somewhere in the middle of the debate over how important the Rio Grande trade was to the Confederate war effort. He blames the Confederate government's disorganized response for the general misuse of the economic opportunities the region offered. The Union war effort similarly failed to commit enough resources to choking off the cross border trade. On the other hand, he admits that the numbers needed to completely secure the border made such an effort unfeasible. While it remains a worthwhile summary, I would conclude that the expense incurred in obtaining a personal copy of this rather difficult to find monograph is not really worth it. The Road to Disunion, Vol. II by William Freehling. These are two highly anticipated titles. Weber penned an excellent article in a recent issue of North & South magazine that presumably outlines her book. That piece and the one by Kamphoefer (I apologize if the spelling is incorrect) really brought to light the strongly divergent political views of recent German immigrants. It appears my own impressions are too heavily colored by the Missouri population. Gerry P's interview last week with William Freehling (seems like an utterly pleasant fellow) on Civil War Talk Radio inspired me to jump Freehling's book up the list. At present, I just started reading the edited Cunningham dissertation Shiloh and the Western Campaign of 1862 published by Savas-Beatie. Dimitri was right about the introduction's value. I wish more studies would set aside a part of the book to concisely and critically place the study within the context of the relevant literature up to the time of its publication. University of Nebraska Press kindly sent me a copy their latest tour guide, The Peninsula & Seven Days by Brian K. Burton. From the Huskers, I will also soon have Scott Patchan's latest book, Shenandoah Summer: The 1864 Valley Campaign. If the author's previous work is any indication, this will be masterful military history. All will be reviewed in good time. Thoughts on "All For the Regiment"
Yeah, I know this is hardly timely, but repeated mention of his book All for the Regiment: The Army of the Ohio, 1861-1862 in Civil War Talk Radio interviews with various authors finally convinced me to quit pushing my reading of Gerald Prokopowicz's book off down the line and get to it. The single sentence version of the book's main theme, as related by GP himself, has never appealed to me much, but it intrigued me enough to want to discover if the fully fleshed out version spoke to me more forcefully. I guess for me the answer is yes and no. For those not familiar with it, All for the Regiment is derived from Prokopowicz's dissertation. Beyond being a straightforward history of the organization and campaigns of the first Army of the Ohio, the author seeks to construct a case for the notion that it was the immensely (unusually?) strong bonds within the individual regiments that made Civil War armies impossible to destroy. According to this idea, common social identity, efficiency, and coordination in Civil War armies rapidly disappears up the chain of command. Thus, we see massive bleeding at the regimental level, but a complete inability to finish the blow against the enemy army with a properly organized coup de grace managed from above. This isn't an entirely new idea and it isn't the whole of what the author contends, but the degree of primacy he gives the notion of social organization over purely military factors is a strong attempt at a fresh interpretation. The fact that he searched deeply for reasons beyond simple questions of weapons and tactics is to be lauded. In some ways, I am not sure using an army with such a short lifespan was the best choice for an examination of a thesis with dimensions by no means limited to the early war period. It's difficult to make the generalized point of a lack of brigade, division, and corps identity with a study that ends in the fall of 1862, as it would be expected that those bonds would necessarily take more time to develop within ever expanding armies created from scratch. From my reading, it's uncertain if Prokopowicz is arguing for the uniqueness to Civil War armies of these regimental bonds and consequent battlefield esprit de corps. I was pleased to see that he mentioned that the idea of the "decisive battle" itself is controversial (he referenced Russell Weigley's The Age of Battles: The Quest for Decisive Warfare from Breitenfeld to Waterloo ), but I would liked to have seen some comparison with the small unit organization of 18th and 19th century European armies to determine if any similar social patterns existed in those organizations. If all this makes it seem like I didn't like the book much, that wouldn't be true. Providing us with the first modern history of the Army of the Ohio is a worthy contribution in and of itself. While one can argue all day long about the degree of importance to be attached to All For The Regiment's main theme of the battlefield consequences of exclusive regimental loyalty, it would certainly be wrong to dismiss it. 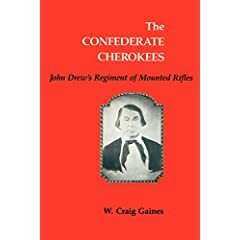 With The Confederate Cherokees: John Drew's Regiment of Mounted Rifles (Louisiana State University Press, 1988), author W. Craig Gaines produced both a regimental history and a fine capsule history of the deeply divided Cherokee Nation's role in the Civil War. At 125 pages of text, it's a short book, but it attempts broad coverage and description of military events is adequate. Gaines relates to the reader the violent factionalism that erupted among the Cherokees between the treaty (Watie) and anti-treaty (Ross) groups. Much of the book centers on John Ross, a fascinating political chameleon, and his political faction, whose members comprised Drew's regiment. The men enlisted for a year, but never became a disciplined force and performed very poorly overall. Lukewarm Confederate supporters to begin with and generally unwilling to fight fellow Indians, most of the regiment deserted to the enemy in its first campaign in late 1861 against the pro-Union Indians led by the Creek leader Ophothleyaholo. However, the remnants of Drew's regiment reorganized in time for the Battle of Pea Ridge, where its military effectiveness was questionable at best. Later on, during the first Union invasion of the Indian Territory it completely dissolved, the men instead swelling the ranks of the Union 3rd Indian Home Guard regiment. Although I would quibble with Gaines over a few things (mainly his version of Pea Ridge and the awful maps), The Confederate Cherokees remains a very useful historical overview. The rosters, organized alphabetically and included as appendices, further enchance the value of the book. Books like these really highlight the need for more modern attention to the Civil War in the Indian Territory. Beyond generalized societal disruption, the war inflicted serious loss in life and property for many different groups. Also, beyond the sustained popular obsession with pro-Confederate Cherokee leader Stand Watie, the men and units that served there are largely neglected. [A notable exception is David Haimerl's recent Clarkson's Battalion C.S.A. (reviewed here earlier)]. It would really be great if someone could update Britton and put together a new study of the Union Indian Brigade.